If you are responsible for transporting a horse, it is important that you take the proper measures to keep them safe. There is nothing worse than being indifferent when their health and lives depend on it. Here are five tips that will help you understand the best way to move horses from point A to point B without incident. Taking the time to perform necessary maintenance of the trailer and the vehicle you are using for transporting the horse is essential. You should make sure everything is in order, including the tire pressure and the engine. You do not want the vehicle to break down while you are on your way. This can create a serious situation since the horses may become anxious and restless. You cannot expect to transport your horse in a box that is far too small. It is important for them to have enough room to move without hitting the sides and risking some injury. Not only should you check the width to make sure that your horse will fit, but it is important for you to test the length as well. 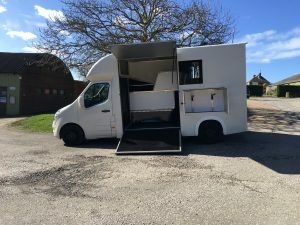 Your horse may become agitated and start bucking if they begin to feel uncomfortable in a space that is much too small f you cannot afford to buy a decent horsebox then another option is a self-drive horsebox hire, they are not expensive and could be a much more affordable option. 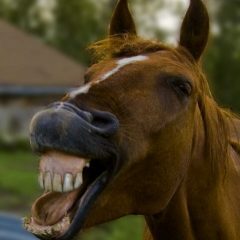 Before the trip, you should take your horse to the vet to make sure that they are in good health. The vet will let you know if there is something wrong that may prevent the animal from being safe while travelling. While you are at their office, make sure that you discuss feeding, hydration and making sure that you have everything you need in a first aid kit. You should always make sure that there are many layers of padding underneath your horse, this will help catch any urine or excrement from the horse and ensure the floor does not become extremely wet and keeping the flooring from becoming too slippery. Just like you need to rest after you have been on the road for quite some time, the same thing applies to horses. Plan ahead so you have a place for your horse to sleep, especially if you intend to take a trip that will last more than 24 hours. You may have to pay for your horse to have access to accommodations, but it is a necessary part of making sure that they are safe during the trip. Transporting a horse is a rather complicated process, especially if you are not aware of the best way to go about things. Use all of the advice you were offered here to ensure that your horse will stay safe while you are moving them from one place to another if you are still unsure or need further advice read this.